As Canadians, we supply Canadian made products wherever we can. Canadian manufactured products are often the best products to fulfill Canadian specifications and warranties. 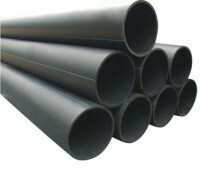 We specialize in the supply and fusion of High Density Polyethylene Pipe and other thermoplastic piping products. Scarborough Supply has steadily grown for over 23 years. Our sales office, fabrication facility and warehouse are centrally located in Whitby, Ontario. We have a dedicated team, trained and equipped to provide quality products and services. Scarborough Supply is a Sclairpipe® High Density Polyethylene Pipe distributor – sizes ranging from 3/4″ through 63″ diameter, the largest HDPE pressure pipe in the world. HDPE fittings and mechanical fittings are available off the shelf. We offer a complete on-site fusion service, in-shop fabrication, fusion machine sales, rebuilding and rentals. Copyright © Scarborough Supply 2013. All Rights Reserved.